Evans Build - Builder, Landscaper based in Westhoughton, Lancashire. We are a well-run business here at EVANSBUILD. We take on all aspects of building work. We class ourselves as extremely hardworking reliable and specific workmen with over 20 years’ experience. Our priorities are keeping customers fully aware during the job, 100% cleanliness and making sure you are happy!! 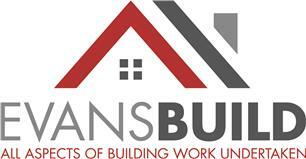 If you would like a set of builders to get the job done and you would like a Free No Obligation Quotation. Or even if you just need some advice we will be more than happy to help. Please don’t hesitate to give James a call on 07544560885.